Did you know that Travel & Tourism is the 3rd largest industry in Texas? Our “State of Travel” contributed $69 billion to the Texas economy in 2016, supported over 1.1 million jobs, and contributed more than $6 billion in local and state taxes. Without this influx of cash, each household in Texas would pay $1,020 more in taxes. 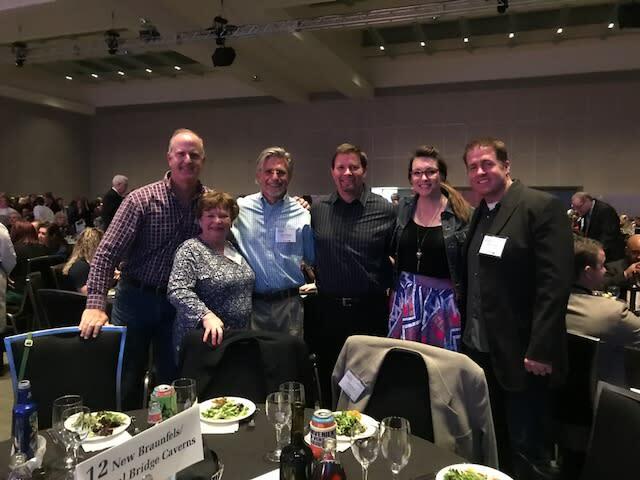 Last week, the New Braunfels Chamber’s Convention and Visitors Bureau sent a delegation to the Texas Travel Industry Association’s Unity Dinner. More than 800 statewide tourism partners and legislators attended, and learned about the economics of travel and ways to support it. New Braunfels’ most recent hospitality economic impact study shows a 32.9% improvement from 2013 to 2017. This brings the total economic output of New Braunfels’ hospitality industry to $706.5 million. The local hospitality industry paid $134.2 million in direct wages and supported another $92.8 million in wages to indirect workers. For New Braunfels, this means that tourism supports 1 out of every 4 jobs in our community. We’re proud to be one of Texas’ top tourism destinations, proving that “Life is Better in a State of Travel”. Members on the New Braunfels delegation at the 2018 TTIA Unity Dinner on March 21.